The announcement of the upcoming Nintendo 3DS has a lot of people thinking about the future of Zelda, myself included. Recently, Zelda Informer Webmaster Nathan wrote about 10 things he’d like to see for Zelda on the 3DS, inspiring me to ask not only what I’d like to see, but who I would like to see with creative control over it. The more I thought about it, the more I knew the answer: Takashi Tezuka. 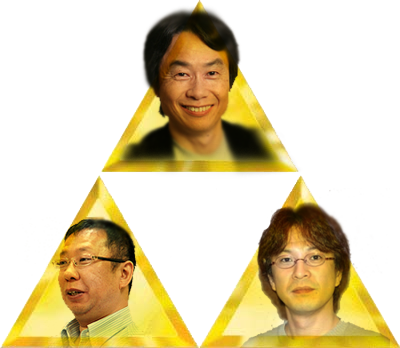 The least known of the “three pieces of the Triforce” who orchestrate the Zelda franchise, Tezuka has long been overshadowed by Shigeru Miyamoto, and in the 3D era of Zelda, Eiji Aonuma as well. Tezuka has been credited as the “Director” or “Supervisor” on more than half of the games in the franchise, and is generally regarded as the father of Zelda storyline in the 2D era. Despite all of this, his role in the Zelda staff goes generally unnoticed while Miyamoto and Aonuma monopolize creative control over console Zeldas, and leave the direction of handheld Zeldas in the control of lesser known developers. Tezuka has only been the lead man for one Zelda title. In a time when the development of a new Zelda game was considered “an exercise in suffering,” Tezuka was given the opportunity to create the first ever handheld Zelda title. His fresh, new take on leading a development team brought fun back into the game making process, and this positive energy carried over into the finished product. Link’s Awakening has gained the reputation of being a fan favorite, and one of the most overall enjoyable games in the franchise. Though Tezuka has never since had as prominent of a role, his influence was felt for a long time to come. Other members of the Zelda development team firmly believe that Link’s Awakening was a turning point for them in how they went about in creating games. 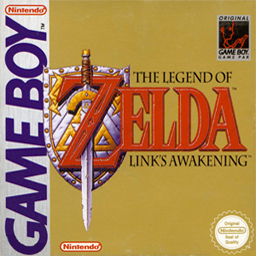 Eiji Aonuma has stated that Ocarina of Time, the most popular and successful of all the Zelda games, and one of the most popular games of any series, would never have become the masterpiece that it is had it not been for the creation of Link’s Awakening. The Zelda series will soon find itself entering a new era again. Just as Link’s Awakening ushered in the handheld era for the franchise, the Zelda series is in need of a strong title full of fresh, exciting ideas to usher in the handheld system they believe will revolutionize gaming. It can be argued that the stressful, agonizing atmosphere has returned to the Zelda development team. During the development periods for both Four Swords Adventures and Twilight Princess, Miyamoto has reportedly “upended the tea table” on Aonuma, and Aonuma also reports that there have been many “heated debates” between Miyamoto and himself over the development of the upcoming “Zelda Wii.” Mix this with Aonuma’s claims that he won’t stop until he’s created a game that tops Ocarina of Time, and you get a tense, stressed Zelda team in need of some refreshment. While Aonuma continues his attempts to outdo Ocarina of Time, and Miyamoto continues his efforts to spoil Aonuma’s tea parties, it’s time for someone else to take the reigns and call the shots for a change. It’s time for a breath of fresh air in Zelda. It’s time for Takashi Tezuka!